To usher in the Rolex 24 and the new racing season, we’re switching things up here in the Weekend Motorsports Roundup. Before we get to the schedule, we’d like to give you an idea of what to expect: in order to prioritize certain events, the roundup will now have a different format. We’ll give you the biggest and/or most entertaining live and delayed events scheduled for the weekend, and if there are any places to fill in, you can tell us in the comments. The new format also comes with a new headline, but don’t be afraid that you’ll miss it—the roundup will still post at the same times on Saturday, and you can always find it under the Weekend Motorsports Roundup tag on the website. That being said, let us know how you like this new format. We’ll be checking on what you have to say in the comments below, and adapt according to what you all would like to see. Anyway, happy Rolex 24 weekend! Hopefully you’ve been resting up throughout the week and are ready to go. 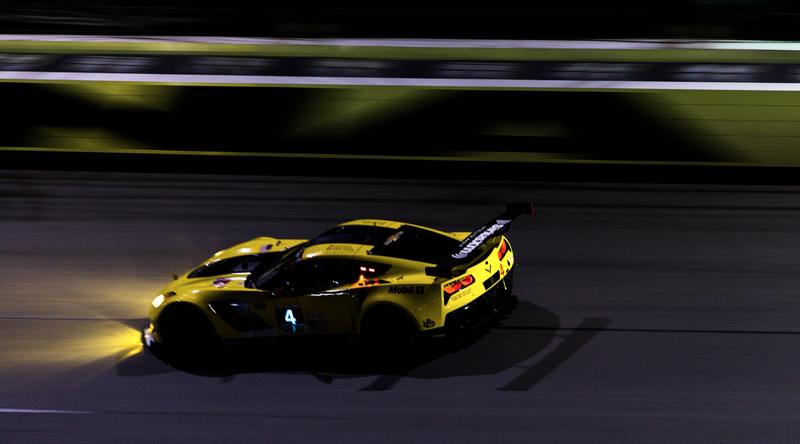 If you’re not super familiar with the 24 Hours of Daytona, we’ve got everything you could ever want to know about the race here. IMSA.tv carried coverage earlier in the week, but FOX Sports will handle all of the race coverage. If you’re not in the U.S., the wonderful folks at IMSA tell us that you’ll be able to watch the actual Rolex 24 on IMSA.tv. You can expect racing action to end around 2:30 p.m. on Sunday—remember that insane, beautiful finish full of close racing last year?—so make sure you’re in front of the television comfortably before then. In addition to that, Monster Energy Supercross will be in Arizona this weekend. Last weekend’s event was about as rough as it gets, with riders shoving it out and the championship leader at the time, Ken Roczen, soaring through the air in a wreck. Roczen, who lost the points lead to defending champion Ryan Dungey, wound up in a nearby hospital with a dislocated wrist, dislocated elbow and compounded radius. In the realm of delayed and re-aired showings, you can catch an FIA Formula E Championship car attempting to race on an iceberg in Greenland, coverage from the Lucas Oil Chili Bowl Nationals, the FIA World Rally Championship, the Lucas Oil Late Model Dirt Series and last weekend’s Race of Champions. Enjoy the weekend. And, as always, if you know of any additional racing events or streams going on this weekend, please feel free to share in the comments below. Full day’s racing: IMSA.tv for territories outside of the U.S.